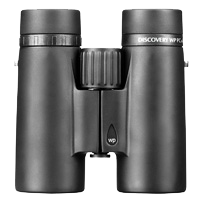 "The 8x32s are, in complete comparison, one of the lightest 8x32 models available weighing in at a mere 391g." 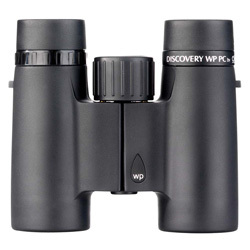 Using an ultra-compact optical design the Opticron Discovery WP PC series are among the smallest waterproof roof prism binoculars available on the market today. 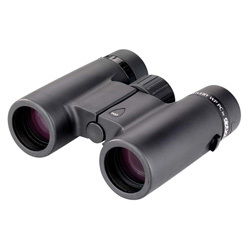 With a host of special features including wide field eyepieces, close focus to under 2m and a body designed to fit faces as young as 7 years, they offer birdwatchers of all ages a well made, stylish and user friendly field glass.